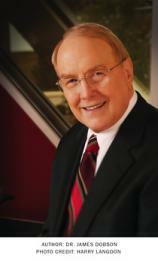 Dr. James Dobson is the Founder and President of Family Talk, a nonprofit organization that produces his radio program, "Family Talk with Dr. James Dobson." He is the author of more than 30 books dedicated to the preservation of the family. He has been active in governmental affairs and has advised three U.S. presidents on family matters. Dr. Dobson is married to Shirley and they have two grown children, Danae and Ryan, and two grandchildren. The Dobsons reside in Colorado Springs, CO. In FATHERLESS and CHILDLESS, Dr. James Dobson and Kurt Bruner depicted a time in which present-day trends come to sinister fruition. This eagerly awaited conclusion vividly imagines what happens when God's image on earth is exchanged for the horrors of a GODLESS world. In FATHERLESS, Dr. James Dobson and Kurt Bruner depicted a time in which present-day trends come to sinister fruition. This eagerly awaited follow-up transports readers to a not-too-distant future when the young and healthy strain under the burden of a rapidly aging population. What happens when the abiding joys of parenthood are exchanged for the gradual deterioration of a CHILDLESS world? The year is 2042. The feeble old now outnumber the vigorous young, and this untenable situation is intensifying a battle between competing cultural agendas. Reporter Julia Davidson --- a formerly award-winning journalist seeking to revive a flagging career --- is investigating the growing crisis, unaware that her activity makes her a pawn in an ominous conspiracy.